Henz Villaraiz plays his most intense role yet opposite Eddie Garcia in the martial law-themed film ‘ML’. With the nationwide theatrical run of his first indie film ML, Henz Villaraiz said it was a big learning experience for him. “I learned a lot. 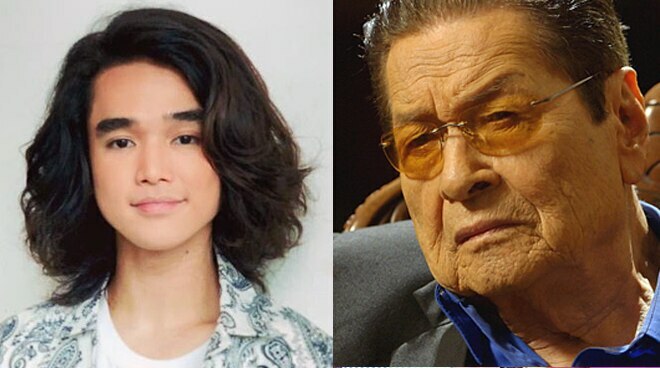 Like not just how production works, I learned a lot from my co-stars, especially kay tito Eddie Garcia. He’s been around for a long, long time so everything that he says on the set has volume. It speaks to everyone. And I learned it’s not just about emotions, there’s a lot of technicalities that goes into acting,” he told PUSH. Playing the role of a student who gets tortured by retired army man (played by Eddie Garcia) was an added challenge. “Of course I was at the beginning… I was intimidated (laughs). Kasi he’s a living legend. Kasi it’s my first time acting with a veteran actor. At first I was just silent and listening to what he was going to say. I remember watching some of his movies when I was really young. I saw films he did during the time of FPJ and he was always the villain role. But I saw some of his comedies and I know he’s been around for a long, long time. He’s a great actor. That’s why he won Best Actor in Cinemalaya,” he explained. Henz said he appreciates physically difficult scenes when he watches movies. “I love the torture scenes in some of the Western films like it looks so super realistic. In our movie, we managed to make it look so real as well. But when we were doing it we didn’t think it was going to look like that as the end result. When we were filming it was just normal, we knew the blood was just corn syrup with food coloring and fake nails (for the torture scenes) but in the end result it looked real and the movie was great,” he said. Working with co-star Tony Labrusca also made the shooting experience easier for Henz. “I loved it. He’s one of my friends in the industry. We joined the same contest before, Boyband Superstar. And I got to know him on a deeper level through this film. Before we already knew each other but in ML we were acting together and we play best friends in the movie. But in real life we’re also friends so it wasn’t hard to work with him. We talked a lot on the set,” he added.